Calling all groups and individuals in the Greater Boston area to join us in our mission to provide a sense of security, love and comfort to local children who are undergoing illness, crisis or other needs! 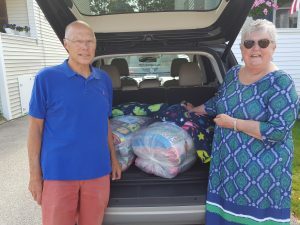 Our volunteer blanketeers havedonated and delivered almost 50,000 new, homemade washable blankets to children in the Greater Boston area since 2001! If you are looking to make a donation, volunteer behind the scenes, organize a blanket making event or request a blanket for a child in need, or have any questions, please contact us! To provide the comfort and security of a handmade blanket, quilt or afghan to any child who may be in need of extra consolation due to severe illness, trauma, and/or other needs. To provide a fun and rewarding service opportunity for individuals and groups of any age with varied skill levels in the Greater Boston Area that benefits local children. Greater Boston Area Project Linus is an affiliated local chapter of the national Project Linus organization. 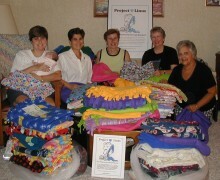 Read more about the national organization by visiting http://www.projectlinus.org/. Jim is the blanketeer/sewer in this family, his wife Susan buys the fabric and helps deliver the blankets. Here they are getting ready to deliver 12 blankets for children devastated by floods in Houston. Next week they will deliver 10 along with sleepers they always purchase to the DCF office in Weymouth, especially for foster children who are often sent to new homes with very few possessions! Our volunteers are wonderful! We are mothers, fathers, grandmothers, aunts, friends, scouts, children, nurses, teachers… anyone who wants to help. Greater Boston Area Project Linus is a 100% volunteer organization. We are quilters, knitters, crocheters, and also folks who have never tried a craft before but are willing to put in a little time. We are people who care about bringing comfort to children when they might need it most. Nationally, since 1995, Project Linus has contributed over 7 million blankets! 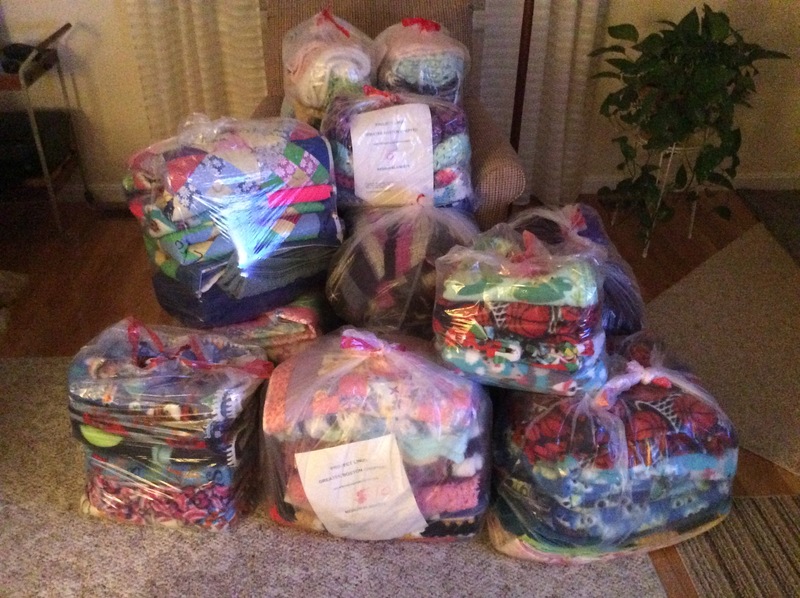 As of today, Greater Boston Area Project Linus has delivered blankets to area children in need of comfort. After bring inspired by a photograph and article in Parade Magazine about a 3 year old’s attachment to her blankie during aggressive cancer treatments, the first Project Linus chapter was formed in 1995, by Kathy Loucks, in the Denver, Colorado area. Through the support of the National organization, Project Linus is run by volunteers in locally run chapters that distribute blankets to hospitals, shelters, social service agencies, organizations or individually to any child that may be in need of the comfort a blankie can bring. We support all kids from premature infant to older teens. Today there are hundreds of Project Linus chapters across all 50 Unites States, providing a creative community service outlet to thousands of volunteers, and providing comfort to thousands of children. To read more about our national organization check out http://www.projectlinus.org. Nancy Kearns lives in Milton and is happy to be the contact for parts of Boston and towns south of Boston. In 2001 her son Chris & his wife Amy lost their infant daughter Olivia at birth. 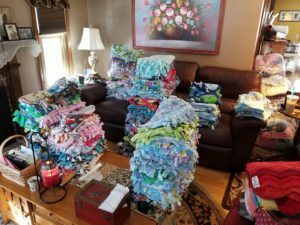 Becoming a part of Project Linus became a wonderful way of turning a devastating event into a way to cheer other families and meet some wonderful, generous people! After the tragic loss of her niece, Stacey Lyn, Lucy Maiullari and her mother Edith wanted to remember her by donating their time and efforts to a worthy cause. Before her passing in 2006, Edie created hundreds of colorful afghans for Project Linus. She received much pleasure from knowing her time and talent was providing cheer and comfort to ill and traumatized children through her “handmade hugs”. Gloria Mozzicato’s son was hospitalized on several occasions in his first three years, at a time when parents were not allowed to stay overnight nor bring blankets or toys from home. Always wishing to find a way to comfort children in that stressful situation, she found her answer in 1998 in Project Linus. Dianne McAdam lives in Newton and has enjoyed knitting and crocheting since she was a little girl. She discovered Project Linus when she was looking for an organization that would distribute blankets to children of all ages. She has experienced the joy and comfort that blankets can bring to children in difficult situations. Read, print or share the information in our latest brochure! 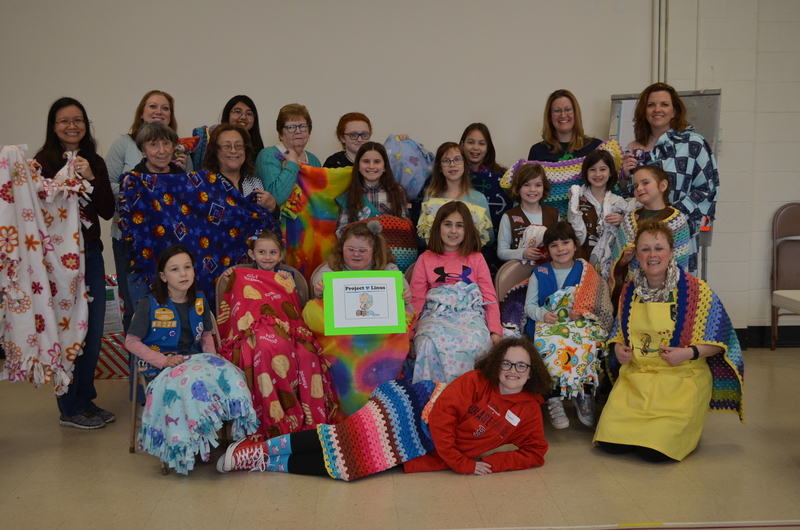 Recently Wakefield- Lynnfield United Methodist Church hosted the 3rd Annual Wakefield Girl Scouts and their Community Project Linus Blanket Making Day! Over 25 caring volunteers including Girl Scouts and their families, Life Girl Scouts, Wakefield Arts and Crafts Society, Wakefield- Lynnfield United Methodist Church parishioners as well as other Community Members, all worked together to create 72 Project Linus Blankets which will be lovingly donated to "Mission of Deeds" in Reading as well as "A Bed for Every Child" program in Boston. 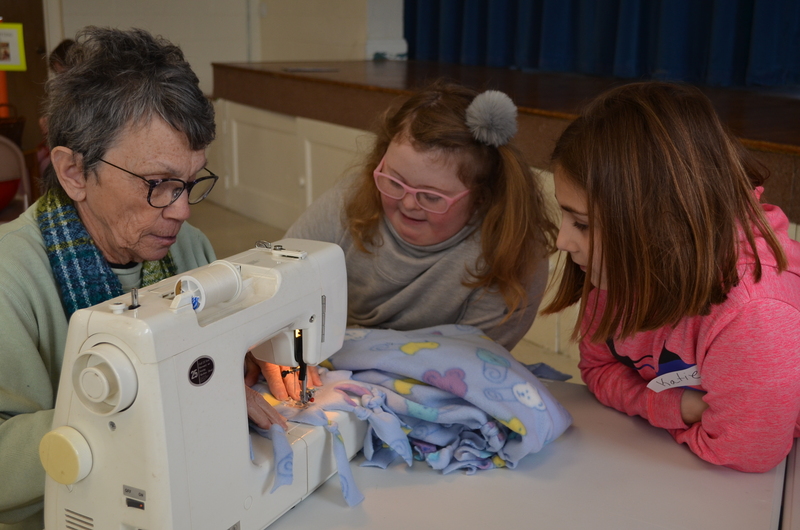 During this event, the Project Linus "blanketeers" worked together to cut and tie the fleece blankets, learned to use the sewing machine by sewing the Project Linus tags onto the finished blankets, learned to finger knit and even kept a completed blanket tally along with a bell to ring after each completed blanket! Martha Stewart Living featured Project Linus in January 2019. Check it out! Project Linus Accepts Your Handmade Blankets for Children in Need. Buy your Project Linus products and supplies from joann.com. 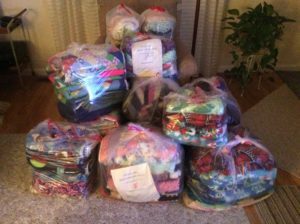 Project Linus: Greater Boston Chapter shared a post.